William Lance Berkman (born February 10, 1976), nicknamed "Big Puma", is an American former professional baseball outfielder and first baseman. He played 14 seasons in Major League Baseball (MLB) for the Houston Astros, New York Yankees, St. Louis Cardinals and Texas Rangers. Berkman is a six-time MLB All-Star and won a World Series championship and the National League Comeback Player of the Year Award with the Cardinals in 2011. He stands 6 feet 1 inch (1.85 m), and weighs 220 pounds (100 kg). Berkman has spent various seasons of his career as a regular at all three outfield positions. A standout baseball player at Canyon High School, Berkman attended Rice University, where he played college baseball for the Owls. Named the 1997 National College Player of the Year, the Astros selected Berkman in the first round of that year's amateur draft, and he debuted in the major leagues in 1999. He joined the Astros' vaunted "Killer B's" lineup that included Jeff Bagwell and Craig Biggio as all three players were instrumental in the club's playoff success. The Astros traded Berkman to the Yankees at the 2010 trade deadline. He signed with the Cardinals as a free agent for the 2011 and 2012 seasons. He played the 2013 season with the Rangers before signing a one-day contract with Houston to officially retire as an Astro. After his playing career, Berkman became a coach at Rice and at Second Baptist School. Active in charity work, Forbes recognized him on their list of "50 most generous celebrities" in 2012. He has led a group called "Berkman's Bunch," an outreach for 50 underprivileged kids to meet Berkman before each Saturday home game for autographs and other gifts. In 2013, he purchased a fire truck and donated it to the City of West, Texas, after the West Fertilizer Company explosion. Throughout his entire high school, college, and minor league career, Berkman had almost exclusively played first base. The Astros, who called him up to the major leagues for the first time in 1999 and already had Jeff Bagwell entrenched at first, shifted Berkman to the outfield so he could regularly hit in the starting lineup. Because of his last name and reputation as a strong hitter, Berkman gained distinction as one of the Astros' "Killer B's" early in his career, which included Bagwell and Craig Biggio, two formidable veteran players who helped established the club as perennial playoff contenders in the 1990s and 2000s. In fact, journalist Dayn Perry jocosely noted in 1999 that the Astros, "in pursuit of arcane history, used eight players whose last names began with 'B.'" The eight included Bagwell, Paul Bako, Glen Barker, Derek Bell, Sean Bergman, Berkman, Biggio, and Tim Bogar. After appearing in 34 games in 1999, Houston demoted Berkman to the minor leagues for more seasoning. The demotion proved brief, however; 31 games into the 2000 season, Houston again promoted Berkman. Moving from left field to right field, he dramatically increased his offensive production by hitting .297 with 21 HR and 67 RBI, resulting in him became a starter for the rest of his career in Houston. In 2001, Berkman hit .331, fourth in the National League (NL), posted a .430 on-base percentage (OBP) (5th in the NL), and drove in 126 runs (7th in the league). He also scored 110 runs and hit 34 home runs, while his 55 doubles led the league. 2001 also marked his first All-Star appearance (he would repeat in 2002, 2004, 2006, and 2008) and he was 5th in Most Valuable Player voting. In May 2004, Berkman produced a .785 slugging percentage with 24 RBI winning the National League Player of the Month honors for the first time in his career. Berkman made the All-Star team, his third All-Star appearance, and placed second in the 2004 Home Run Derby behind Miguel Tejada. He hit the longest home run of the tournament at 497 feet (151 m). Berkman's average for the season increased to .316 from the year before, and his OBP was .450, having walked 127 times. He hit 30 home runs, drove in 106, and scored 104 runs. He also hit 40 doubles and appeared in 160 games, the most in his career for a single season. Defensively, Berkman split 2004 between left and right field. Berkman signed a six-year, $85-million deal in March 2005. He moved to first base early in the 2005 season while Bagwell spent a significant portion of the season injured. Berkman ended the season with 24 home runs and 82 RBIs. During the 2006 season, Berkman hit 45 home runs and had 136 RBI. He broke the Astros' single season record for RBI, previously set by Bagwell in 1997 with 135. He also had a .315 batting average, an on-base percentage of .420, as well as a slugging percentage of .621. He also hit a career high 5 home runs from the right side of the plate. He finished third in the MVP voting behind Ryan Howard and Albert Pujols. Berkman started the 2008 season batting well above .385 through April, won the NL Player of the Month in May and two separate Player of the Week awards, one which he went 29–32 (batted .906) with 6 home runs, including a McCovey Cove splash landing. At the All-Star break, he was in the NL's top four in batting average, with 22 home runs, and was on pace for 130+ RBIs. 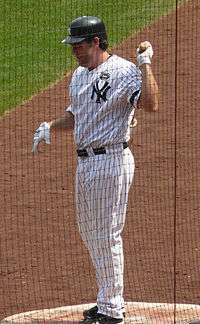 However, despite the rest of the team picking up steam behind the likes of Roy Oswalt, Wandy Rodríguez, Hunter Pence, and Ty Wigginton's rebound second half, Berkman's individual performance dipped significantly, and by season's end, he batted .312, with 29 home runs (7 of which were right-handed, setting a new career high), and 106 RBI. Berkman was fifth in the voting for the 2008 NL MVP award, behind Albert Pujols, Ryan Howard, Ryan Braun, and Manny Ramirez. 2011 became a comeback year for Berkman, as he was one of the team leaders in batting average, home runs and RBI. He was named the NL Comeback Player of the Year. 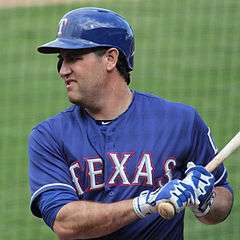 On January 5, 2013, Berkman agreed to a one-year contract with the Texas Rangers for approximately $10 million. On October 31, the Rangers declined his option, which made him a free agent. On January 29, 2014, he decided to retire. 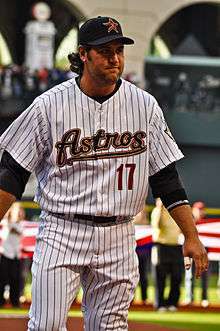 Berkman, along with former teammate Roy Oswalt signed a one-day contract with Houston to officially retire as Astros on April 5, 2014. 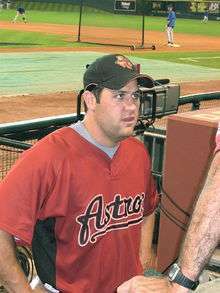 In 2009, Berkman stated that after his major league career he would like to coach baseball at the University of Texas at Austin even though he attended Rice University. Since he didn't finish his degree at Rice, he would need to return to school and complete three more semesters to earn a business degree with a minor in sports management. He hypothesized then that "I know [Texas Coach Augie] Garrido's going to coach four or five more years. I figured that might dovetail nicely with the end of my career." With Berkman's retirement in 2014, however, it is at his alma mater, Rice, that the former Owl has spent time assisting young hitters. Rice Coach Wayne Graham has made clear that Rice would be interested, stating that "[i]t sounds like he wants to coach. Hopefully at one time or another it will be here. We’ll manage to always find a place for him." As of 2015, Berkman is serving as the head baseball coach at Second Baptist School in Houston, Texas, along with his former Astros teammate Andy Pettitte serving as assistant coach. 2× National League Player of the Month (May 2004, and May 2008). 4× National League Player of the Week for April 21–27 and May 5–11 in 2008; April 11–17 and April 25 – May 1 in 2011. Record holder for most career home runs at the Great American Ball Park in Cincinnati for an opposing player (23). Berkman and his wife, Cara, live in Houston with their four daughters. Berkman has been very outspoken about his Christian beliefs throughout his career. Berkman uses his position as a professional athlete to discuss his religious beliefs with others. He told The 700 Club in May 2007: "What you’re running after, what you’re trying to find will not provide you with any lasting fulfillment. The only place you can find that is Jesus Christ. It's in the service of God you’ll find that lasting fulfillment." In 2001, Berkman began leading a charity called "Berkman's Bunch" where 50 underprivileged kids could meet Berkman before each Saturday home game for autographs and other gifts. In April 2012, Forbes named Berkman one of the 30 most generous celebrities as he and his wife had donated $2,412,245 to a foundation they established called To The Lord's Fund. In July 2013, Berkman purchased a fire truck and had it overhauled by the City of Arlington. He then donated it to the City of West, Texas, in the wake of the West Fertilizer Company explosion that took place earlier in the year. The fire truck is white with a red Maltese cross on the doors and the name Berkman over the cross with his number "17" encircled within the cross. Berkman filmed an advertisement against Houston Equal Rights Ordinance, which was aimed at protecting LGBT individuals from discrimination but also controversially sought to remove gender restrictions on public city bathrooms. The ordinance was widely rejected by Houston voters in a ballot initiative in November 2015. He is most popularly known as "Fat Elvis" and "The Big Puma." Before the 2006 season started, in an interview with a local Houston sports radio station, Lance joked "I'm more like a puma so I'm not sure why people call me Fat Elvis." The show's hosts, John Granato and Lance Zierlein, ran with the moniker and Houston fans and media latched onto "The Big Puma." When questioned further, Berkman explained the nickname is simply logical. "Agile, athletic, sleek ... all the things that describe my game", he said, somewhat tongue-in-cheek. With his outstanding start in 2008, this nickname also became known on a national level. That same year, a Lance Berkman fan club calling themselves "The Little Pumas" emerged. During Berkman's long tenure with the Astros, they could be seen wearing puma costumes and foam puma paws at most Astros home games near the Conoco Pump in left-center field. The group became relatively well-known among Astros fans, as they were shown often during Astros broadcasts on Fox Sports Houston. Berkman was also one of the Astros' "Killer B's" in the mid-2000s, along with Jeff Bagwell, Carlos Beltrán, Craig Biggio, and Derek Bell. ↑ "NewsBank for Statesman | www.prod.statesman.com". Nl.newsbank.com. Retrieved April 3, 2013. 1 2 "William Lance BERKMAN: SweAme". Swedesintexas.com. Retrieved April 3, 2013. ↑ Wild, Danny (October 16, 2009). "Path of the Pros: Lance Berkman". MLB.com. Retrieved August 1, 2010. ↑ "Rice University Records" (PDF). Retrieved August 3, 2010. ↑ Duarte, Joseph. "Berkman's back in the game as a student at Rice". Houston Chronicle. Retrieved 5 November 2014. ↑ Perry, Dayn (December 23, 2012). "Remembering the 'Killer B's'". CBSSports.com. Retrieved March 21, 2016. ↑ "1999 Houston Astros: Batting, pitching, & fielding statistics". Baseball-Reference.com. Retrieved March 21, 2016. 1 2 3 4 5 "Lance Berkman statistics & history". Baseball-Reference.com. Retrieved August 9, 2010. ↑ "Home Run Derby (2000–2008)". baseball-almanac.com. Retrieved September 22, 2008. ↑ Footer, Alyson (March 19, 2005). "Astros, Berkman reach six-year deal". MLB.com. Retrieved August 1, 2010. ↑ "BASEBALL: NATIONAL LEAGUE ROUNDUP; Peavy Is Dominant As Padres Rout Reds". The New York Times. September 14, 2006. Retrieved August 1, 2010. ↑ "Houston Astros Batting Leaders". Baseball-Reference.com. Retrieved September 22, 2008. ↑ Molony, Jim (November 20, 2006). "Berkman finishes third in MVP voting". Major League Baseball. Retrieved August 9, 2010. ↑ Leach, Matthew (November 17, 2008). "Crowning achievement: Pujols NL MVP | MLB.com: News". MLB.com. Retrieved August 3, 2010. ↑ Ortiz, Jose de Jesus (June 14, 2009). "Berkman, Tejada put milestones to good use". Houston Chronicle. Retrieved August 9, 2010. ↑ "Yankees make Berkman Deal Official". Yankees.lhblogs.com. July 31, 2010. Retrieved July 31, 2010. ↑ McTaggart, Brian (July 30, 2010). "Astros finalize Berkman deal with Yankees". Pressbox.mlb.com. Retrieved July 30, 2010. ↑ "Rangers Reach Deal With Lance Berkman". CBS Dallas/Fort Worth. January 5, 2013. Retrieved January 5, 2013. ↑ "Texas Rangers decline $12 million contract option for Lance Berkman". Dallas Morning News. Associated Press. October 31, 2013. Retrieved January 29, 2014. ↑ Durrent, Richard (January 29, 2014). "Lance Berkman decides to retire". ESPN.com. Retrieved January 29, 2014. ↑ "Berkman has dreams of coaching at UT". MLB.com. Retrieved May 12, 2009. ↑ "Wayne Graham on Lance Berkman: 'A great legacy'". Ultimate Astros. Retrieved October 14, 2015. ↑ "Former Astros great Lance Berkman hired as Second Baptist baseball coach". Sports Update. Retrieved 2016-03-28. ↑ "Berkman's Just Fine As Is". chron.com. Retrieved January 5, 2009. ↑ "Faith and America's Favorite Pastime". chron.com. Retrieved January 5, 2009. ↑ "Lance Berkman: True Satisfaction – The 700 Club". Cbn.com. Retrieved September 28, 2011. ↑ Baldwin, Tony. "Berkman is clutch both on and off the field". EveryJoe. Retrieved July 3, 2013. ↑ Pollock, Bill. "Berkman makes Forbes' list of 30 Most Generous Celebrities". MissouriNet. Retrieved July 3, 2013. ↑ "Lance Berkman to donate fire truck to West". Houston Chronicle. Retrieved 5 November 2014. ↑ "Lance Berkman appears in controversial ad over Houston's equal rights bill – For The Win". For The Win. Retrieved October 14, 2015. ↑ "Annise Parker hits back at Lance Berkman for anti-HERO advertisement". Houston Chronicle. Retrieved October 14, 2015. ↑ "In Houston, Voters Reject A Closely Watched Equal Rights Ordinance". NPR. Retrieved November 4, 2015. ↑ "The Z Report: I am partly responsible for the nickname "Big Puma"...well, kind of". chron.com. Retrieved January 5, 2009. ↑ "Mailbag: Berkman the 'Big Puma?'". MLB.com. Retrieved January 5, 2009. ↑ "Berkman enjoying fruits of labor". MLB.com. Retrieved January 5, 2009. ↑ "Little Puma Roster". Thelittlepumas.com. May 23, 2008. Retrieved August 3, 2010. ↑ "MLB Pro Blog: NLCS: Astros v Cardinals". Birth of the B's. Major League Baseball. Retrieved April 21, 2011. Wikimedia Commons has media related to Lance Berkman.